The Lepbase BLAST server at blast.lepbase.org is powered by SequenceServer. Blastable databases of full genome assemblies can be queried for each species in Lepbase. 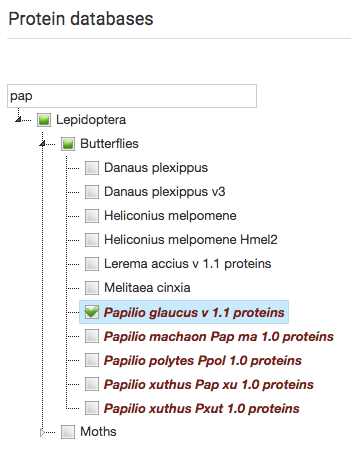 Transcript and protein databases are also provided for assemblies with gene models. 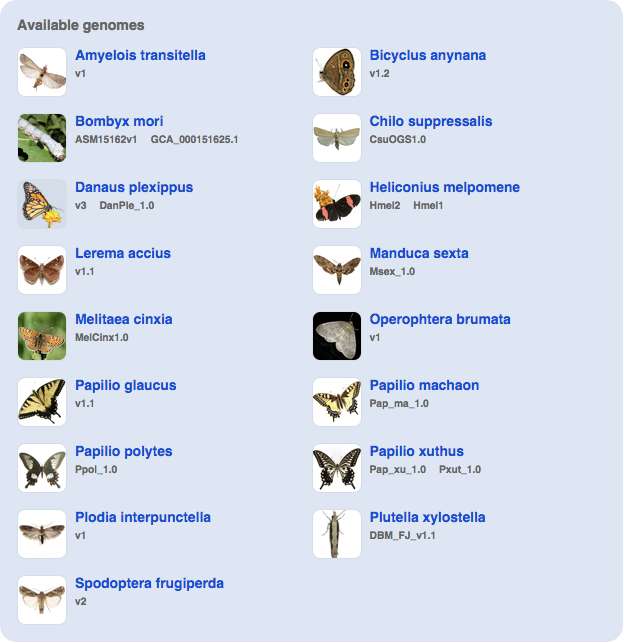 Hits link back to our Lepidopteran Ensembl site where they can be viewed in full genomic context.